A crack in your basement or crawlspace wall is an easy entry point for water. Concrete cracks. It’s completely natural and almost always unavoidable. In situations other than settlement of the foundation, concrete can shrink and crack during the curing process, especially over a long span, such as your basement wall. In some cases, the will concrete crack from the stress of large cutouts that are typical with egress and other types of basement windows. 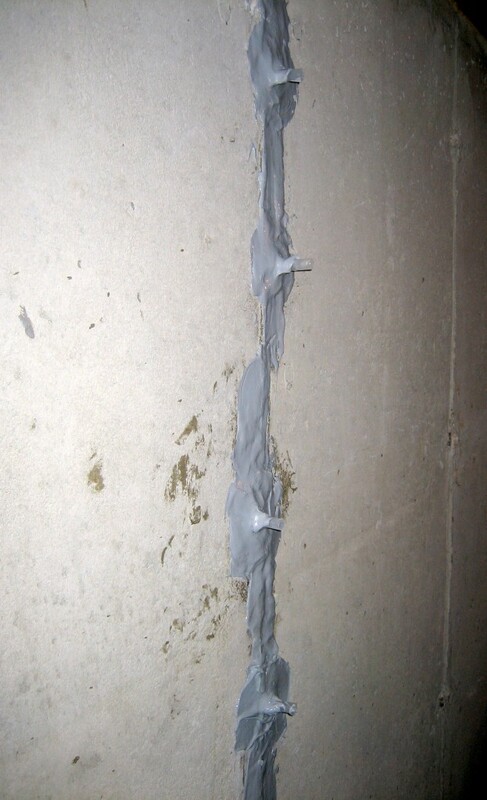 In a poured foundation wall, the most common crack repair option to prevent water from penetrating the fracture has been an injection of some material, often an epoxy or caulking substance. Most homeowners even try to accomplish this by applying a do-it-yourself treatment purchased a local hardware store. Many of these products, such as putties, caulk, and epoxies, are not sufficient enough to completely seal a leaking wall crack. The persistent and recurring water in the basement after these treatments lead to much frustration and wasted money. The installation process for crack injections is quick and very effective. 3D Structural uses an injection process of Hydrophilic and Hydrophobic Urethanes. Hydrophilic Urethane is a foam-like composition that fills the entire fracture and expands as it mixes with water. Ideal applications would be actively leaking wall cracks. Hydrophobic Urethane is a foam-like composition that fills the entire fracture and expands without the mixture of water, hence the “phobic” portion of it’s name. Ideal applications for this would be wall cracks that are at least partially dry and not actively leaking, or to seal cracks in concrete dams or other water retaining walls. These urethanes are injected at a low viscosity (thin mixture) and expand once inside the leaking wall crack. These urethanes have been used by 3D Structural for many years to stop water leaks in basement walls, waste water treatment plants, and even concrete dams! This process is extremely effective and stops water from causing further damage in your basement.